Material: 65% polyester, 5% elastane, 30% viscose. 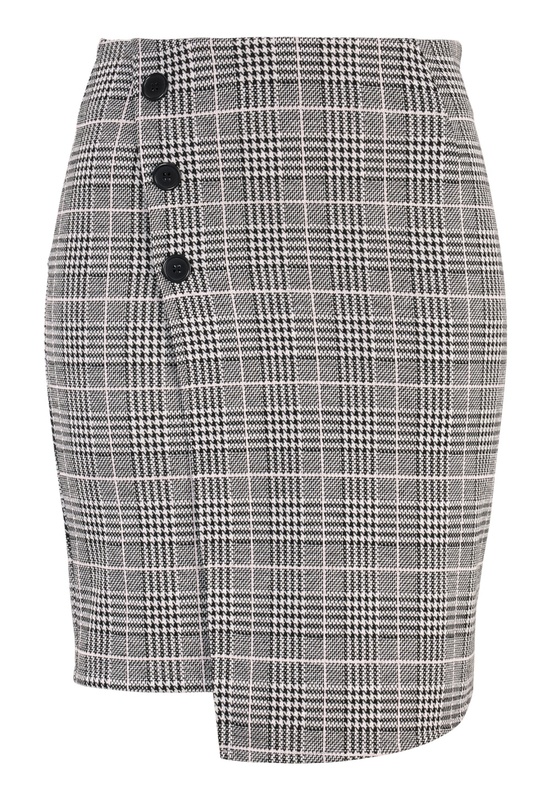 Trendy checked skirt with fancy button details from BUBBLEROOM. - Made in a soft, stretch jersey quality. - Skirt length: 50 cm in size S.